60 per cent of people are not connected to the internet, and there’s an emerging ‘Space Race’ to close the global digital divide. Digital marketing expert Richenda Vermeulen discusses the efforts from Google and Facebook, and why Not for Profits should pay attention. Internet giants Facebook and Google are currently facing off as they strive to get billions more people online. They’ve partnered with mobile phone companies around the world (like Samsung, Ericsson, Microsoft, and Airtel – India’s largest telco) to deliver an app which gives users in developing countries a glimpse into the internet for free. They’re also working on expanding internet coverage via solar powered drones and satellite systems. 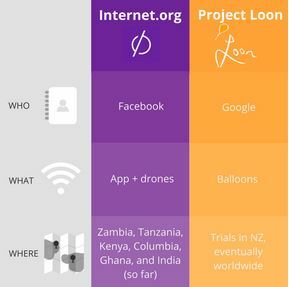 In the other corner is Project Loon, a Google initiative that is using giant balloons (yes, balloons) to beam down wireless signals from the sky, providing connectivity to those in rural and remote areas. We know that more internet users mean more potential customers, data, and advertising spend on untapped data mines. So are these efforts from Google and Facebook about altruism, PR, or something else? Some have been quick to criticise Facebook’s campaign as a PR exercise. With growth and adoption rates slowing, the critique is that “Internet for all” is really just Facebook for all. Bill Gates clearly isn’t a fan of Google’s plan. “When you’re dying of malaria, I suppose you’ll look up and see that balloon, and I’m not sure how it’ll help you… When a kid gets diarrhea, there’s no website that relieves that”. Gates has done incredible work through the Gates Foundation, but poverty and connectivity are not mutually exclusive. No one is saying connectivity is more important than health interventions, but connectivity can certainly help. The internet connects people to information, education, companies, and increasingly, to jobs. And online economies have a huge impact on everyone, including people in developing nations. 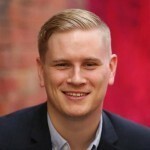 Melbourne-born startup 99designs is a perfect example. By crowdsourcing design projects online, they’ve not only provided jobs for over 225,000 people, but also economic stimulus in 197 countries. To date, 99designs has paid out more than $96 million to designers around the world. Of that, over $10 million has been paid out to designers in Indonesia and the Philippines. The scale is simply amazing. I truly believe that by bridging the gap between the information rich and the information poor, we will help people access markets they have never had access to before. The critique shouldn’t be whether companies should help people get online, but whether there are strings attached. If Facebook winds up with some great PR, there’s nothing wrong with that. If users are required to set up a Facebook account, or the single provider of information is Google, then it’s a little more questionable. We hope that these tech giants will be investing their resources to do things the right way. Google and Facebook have had massive growth by building products people want, moving quickly, taking risks, and doing the things everyone else says is impossible. That’s not the reputation that most not-for-profits have. Those of us who work in and with the Not for Profit sector have a responsibility to not immediately dismiss their efforts. We should be partnering with and championing the problem solvers of our time who are focused on more than just themselves. That’s the race I’m interested in watching.